We’d love your help. 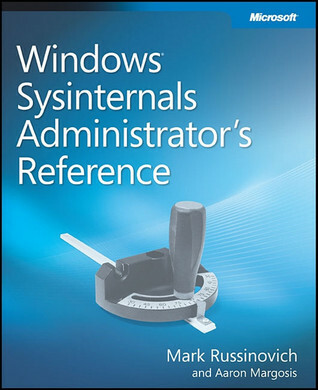 Let us know what’s wrong with this preview of Windows® Sysinternals Administrator's Reference by Mark Russinovich. Get in-depth guidance—and inside insights—for using the Windows Sysinternals tools available from Microsoft TechNet. Guided by Sysinternals creator Mark Russinovich and Windows expert Aaron Margosis, you’ll drill into the features and functions of dozens of free file, disk, process, security, and Windows management tools. 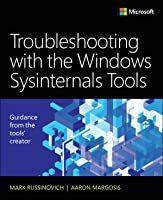 And you’ll learn how to apply the book’s best pract Get in-depth guidance—and inside insights—for using the Windows Sysinternals tools available from Microsoft TechNet. Guided by Sysinternals creator Mark Russinovich and Windows expert Aaron Margosis, you’ll drill into the features and functions of dozens of free file, disk, process, security, and Windows management tools. And you’ll learn how to apply the book’s best practices to help resolve your own technical issues the way the experts do. To ask other readers questions about Windows® Sysinternals Administrator's Reference, please sign up. Too much time covering command line flags and menu items, not enough time covering case studies of how to use the tools. The final section that does this is really good, but unfortunately rather short compared to the reference portion. 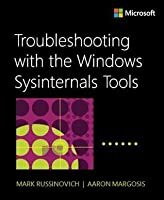 This book focuses on explaining how to use Sysinternals tools (options available, command line parameters, etc). 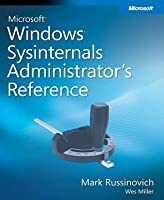 It's not technically hard to understand for a Windows admin. It's good for a begginer and intermediate, but not enough for a pro. Final chapters are the best ones because deepens into real case scenarios. Unfortunatelly, that section is extremely short. I would appreciate more examples like these. 2/3 of the book is like reading boring user manual, last part is good though. I wish stores would stock it. This is the shiznit. Although the Administrator account certainly isn't 'unrestricted'. You need the System user for that. It needs more examples and fewer pages just listing off each switch.